On Nov. 9, the University launched the first-ever Deck the Decades Challenge to help Scranton alumni get into the holiday spirit. 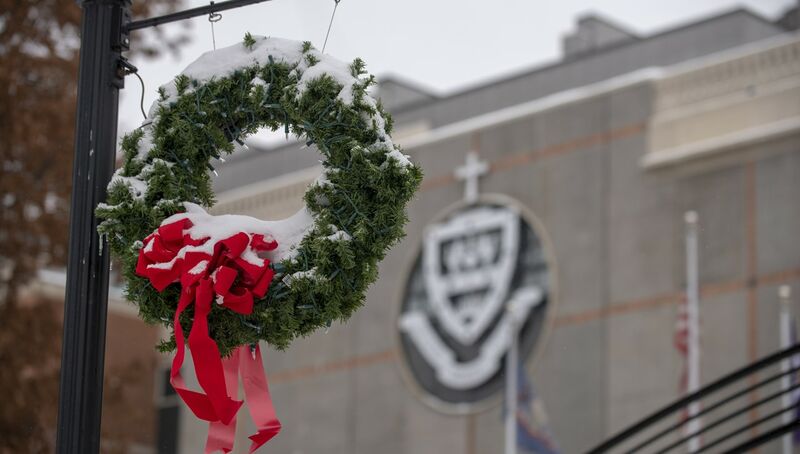 Alumni can put their decade in the lead by registering for any Scranton Christmas Celebration or by making a gift to any Scranton fund by Dec. 15. The decade of alumni with the most Christmas party attendees and the most donors, wins. Any alumni from the winning decade who either attended a party or made a gift will receive a Scranton Christmas ornament. Only pre-registered event attendees will be counted. Challenge ends Dec. 15. Learn more here.